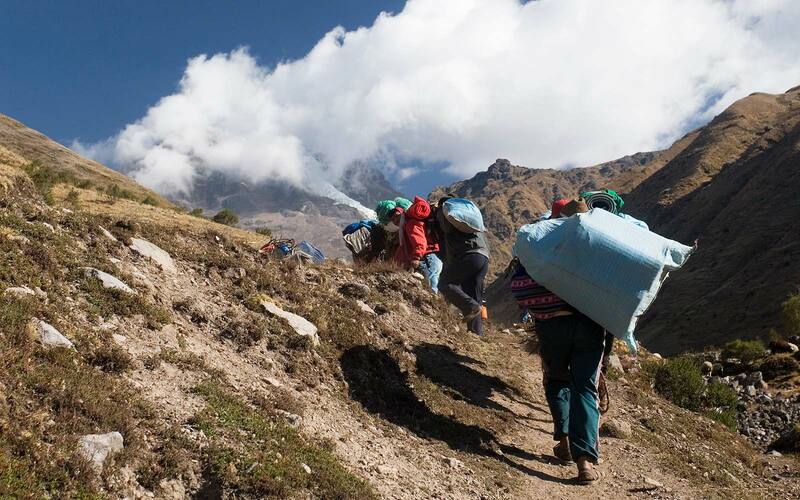 The Inca Trail may no longer be the best route to Machu Picchu. The streets of Cusco, where travelers congregate before embarking on tours of Peru's famous Inca citadel, Machu Picchu, are plastered with posters depicting the sacred city. When I arrived here in April, I was bombarded by appeals from locals to join multi-day guided treks along the Inca Trail. This popular route meanders through the Peruvian Andes along an ancient Incan road. But I opted instead to take the overlooked trail to Choquequirao. This lesser-known archeological site is often hailed as Machu Picchu's Sacred Sister — and it could be poised to overshadow its more famous neighbor. An equally impressive ruin, Choquequirao is sometimes visited by intrepid travelers seeking an alternative (and less crowded) hike to Machu Picchu. While the Lost City of the Incas can easily see 5,200 paying visitors every day, Choquequirao may see less than a dozen. Like the Inca Trail, the trek to Choquequirao navigates the region's lush cloud forests and glaciated peaks. And travelers who reach these ruins can choose to extend their journey upward to Machu Picchu. But this particular route, which also leads travelers past small Andean villages and descends deep into the Apurimac Canyon and across the eponymous river, is very strenuous. It can take four to five days to complete the grueling, 37-mile round-trip hike — and an additional three to four days are required to continue the trek to Machu Picchu. While the difficulty of the trail and Choquequirao's remote location have helped keep tourist numbers low, proposed roads and a cable car could be poised to make the ancient city as accessible — and likely just as crowded — as Machu Picchu. Recently, 200 million soles (or the equivalent of $62 million) have been pledged by Peru's president, Pedro Pablo Kuczynski, for the building of a cable car that will whisk visitors across the valley directly to Choquequirao. Estimates suggest its annual visitor count could rise to half a million. This development will continue to push Peru’s growing tourism-based economy, and add another popular destination to the Cusco region. 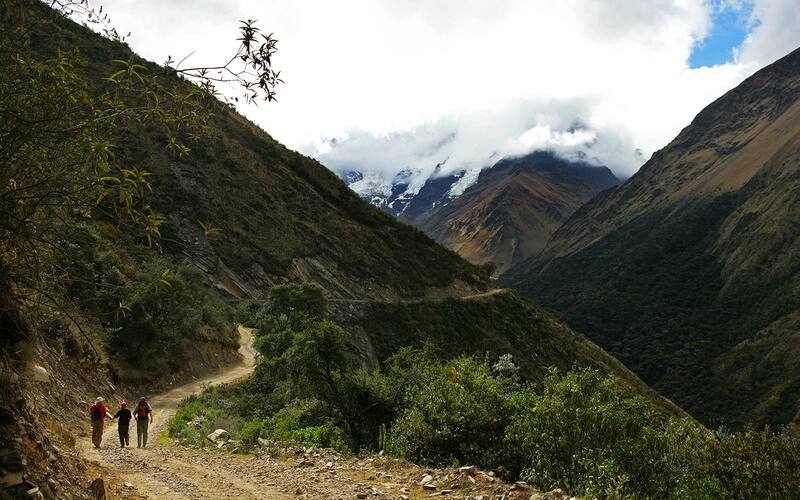 Those who prefer to explore untouched terrain will be happy to know that the Incas were master road builders. To this day, a large network of trails and roads have survived all across Peru, many of which lead to Machu Picchu. In addition to the route that links Choquequirao and Machu Picchu, travelers can try a number of scenic paths that provide an alternative to the often-congested Inca Trail. While this is currently the second-most popular route used to reach Machu Picchu, it is used significantly less than the Inca Trail. Travelers will spend approximately five days hiking along these remote paths, past the foot of the glacier-capped, 20,574-foot Mount Salkantay (which translates to Savage Mountain in the indigenous language of the Quechua), through an impressive cloud forest, and past coffee farms and striking blue glacier-carved lakes. This trek also intersects with Llactapata, another Inca ruin site. While there are many guide services offering trips along this route, no tour or permits are necessary to complete the trek. REI Adventures offers a particularly excellent Salkantay lodge trek. Despite the Lares Valley’s proximity to the bustling tourist city of Cusco, the traditional rural Quechua way of life is very well-preserved here. This particular route, which is often completed in four days, exposes travelers to the authentic Andean culture that is so easily missed while visiting the more mainstream destinations. For those who enjoy the benefits of a guided tour, many companies offer itineraries for this trip, including Llama Path and Bamba Experience. 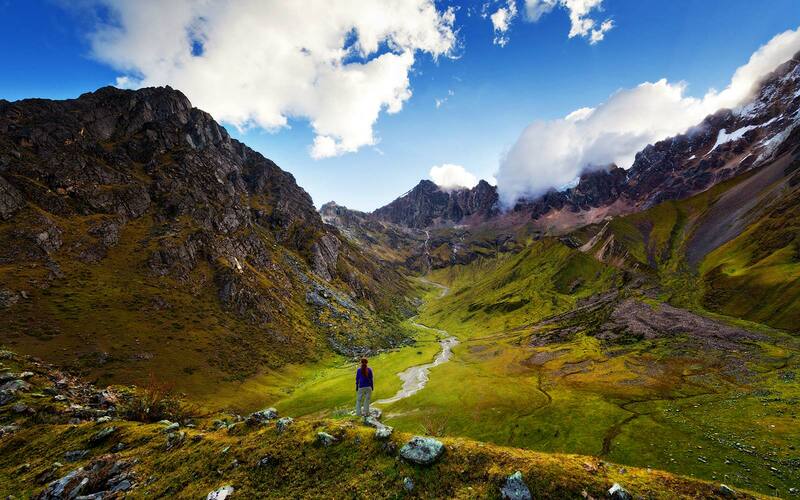 The Ancaschocha Trek is a very off-the-beaten-path route located in a remote part of the Peruvian Andes. This option offers visitors a similar experience to the Choquequirao trek, but is much shorter, and can be done in only three days. Explore Inca ruins and rural villages, admire scenic vistas overlooking the Vilcabamba and Urubamba ranges, and get a first-hand glimpse at the local farming culture that has remained unchanged for centuries. While this trek does incorporate a short stretch of the traditional Inca trail, it is a great option for those who do not have the time to complete the entire trail. 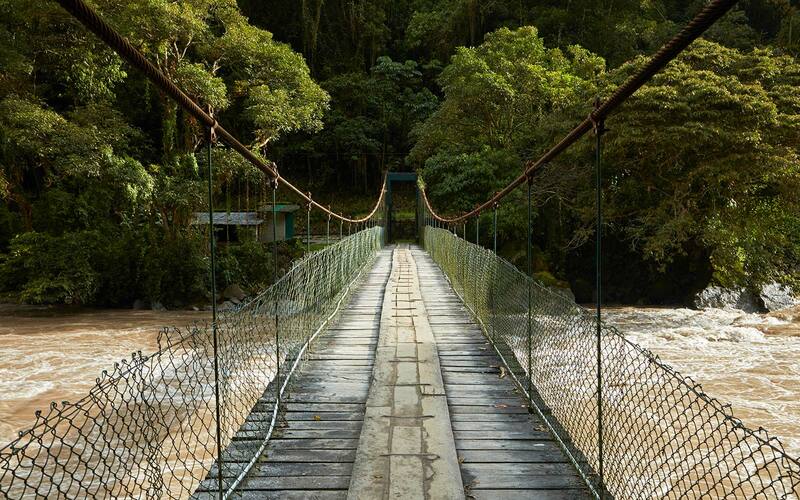 Starting in Chachabamba, this six-mile hike snakes through cloud forests overlooking the Vilcanota River Valley, passes by a spectacular waterfall, and goes through the Incan ruins of Winya Wayna before joining the Inca Trail. Because this route does encompass a portion of the Inca Trail, a permit and a guide are required.